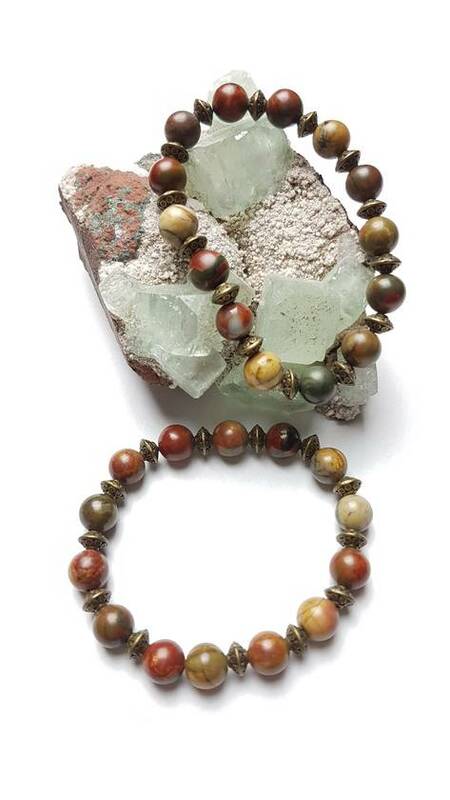 These lovely bracelets are made wih gorgeous Picasso jasper. 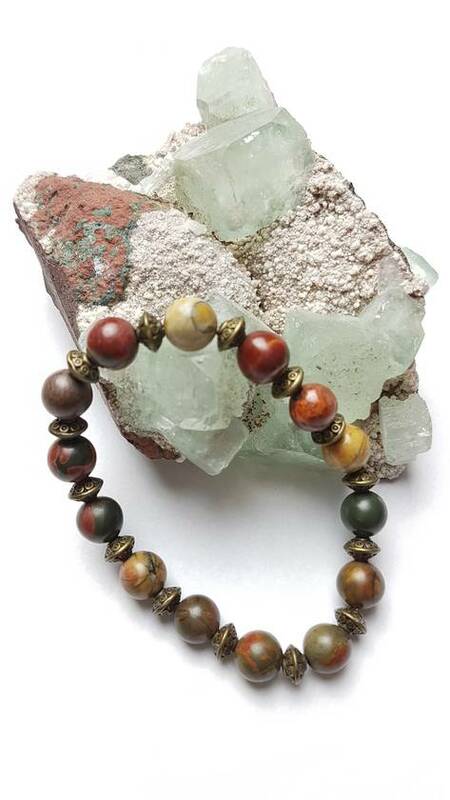 Jasper balances Yin and Yang and aligns the physical, emotional and mental bodies with the etheric realm. It helps clear electromagnetic and environmental pollution and is believed to support circulation, digestion and the sexual organs. Jasper is a strong securing gemstone. It is a stability gemstone. It is a powerful protection against things that are not good for you and it eases emotional stresses, making it a wonderful gemstone to wear on yourself. 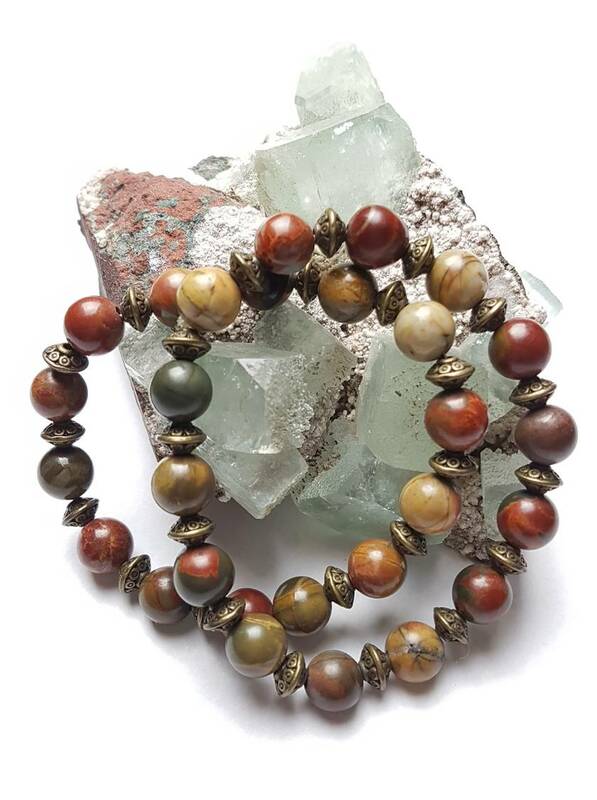 The name Jasper is derived from a Greek word meaning “spotted stone”. It is found all over the world, including large deposits in India, Russia, Brazil, France, Germany and the USA. To protect the longevity of your bracelets remove before sleeping, while bathing or swimming. 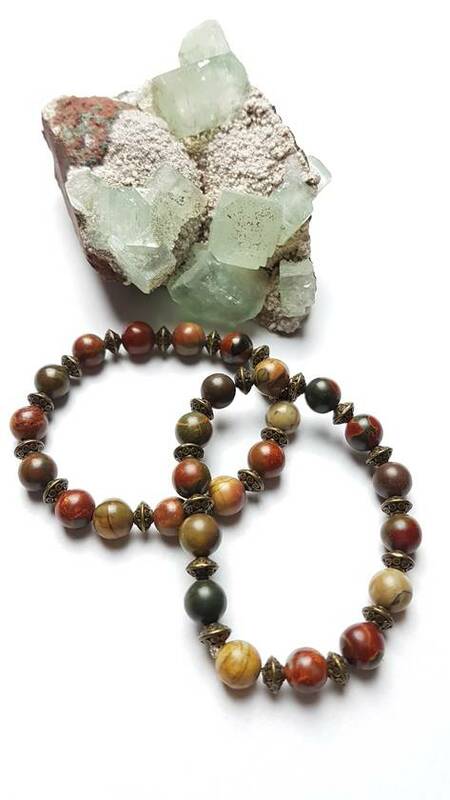 All my creations are made in an environment of peace and harmony, each strand is lovingly created by me and infused with positive energies.